When we bought the house, the old bathroom had a Formica covered vanity and a linen closet which occupied a fifth of it’s interior space. 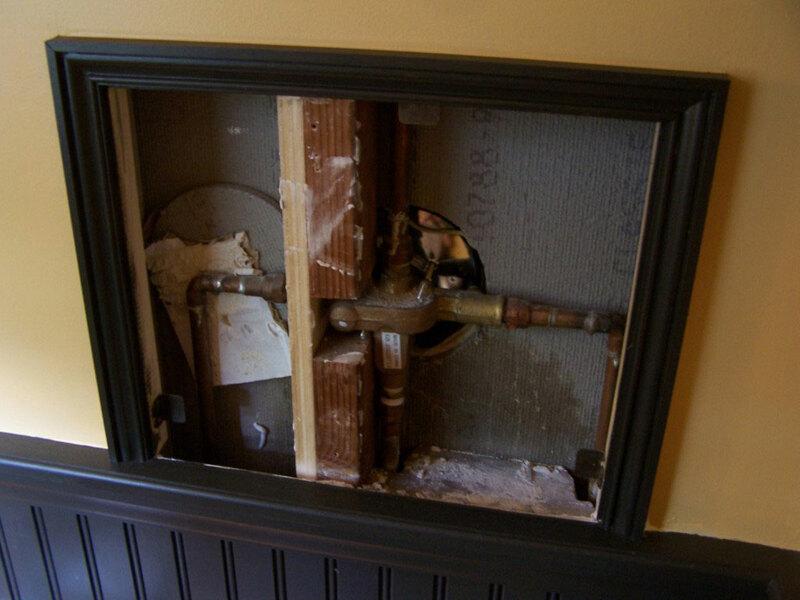 When I finally got around to it, we gutted the entire room and could now start from scratch. 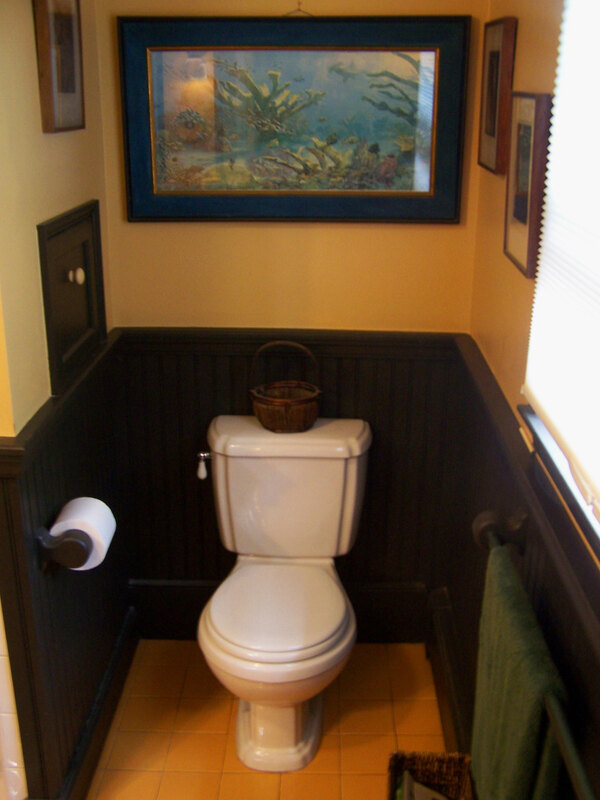 We wanted a turn-of-the-century look so I built wainscot from beadboard to surround the room. I made a small door (to the left, in the shot above) that gives me access to the shower fixture & plumbing inside that wall (as long as I was at it, I thought I’d do it right). 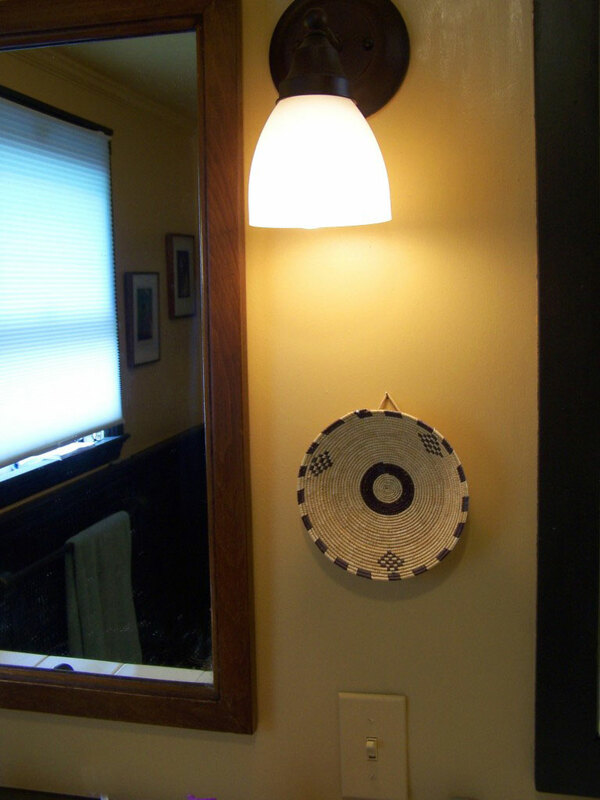 Bathrooms can be somewhat sterile so we hung pictures and small objects to warm it up. 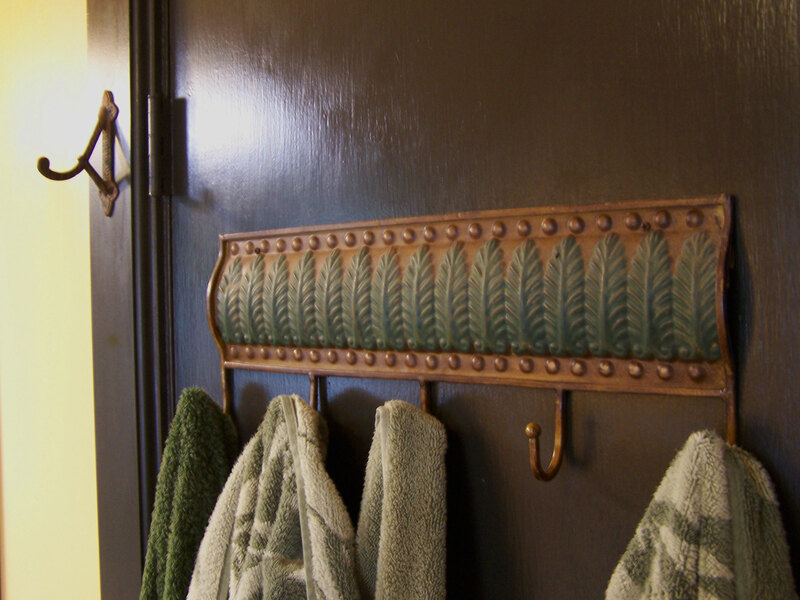 As there’s never enough room to hang towels, we shopped around for some cool looking hooks and used the back of the door. 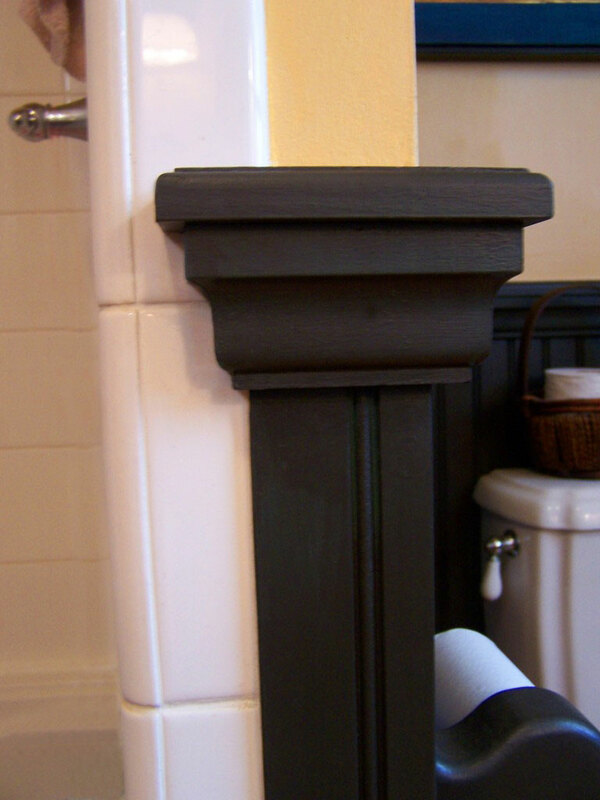 Radius-edged tiles were used for the shower and the vanity’s counter top. Here you see a close-up of the wainscot meeting the tile. 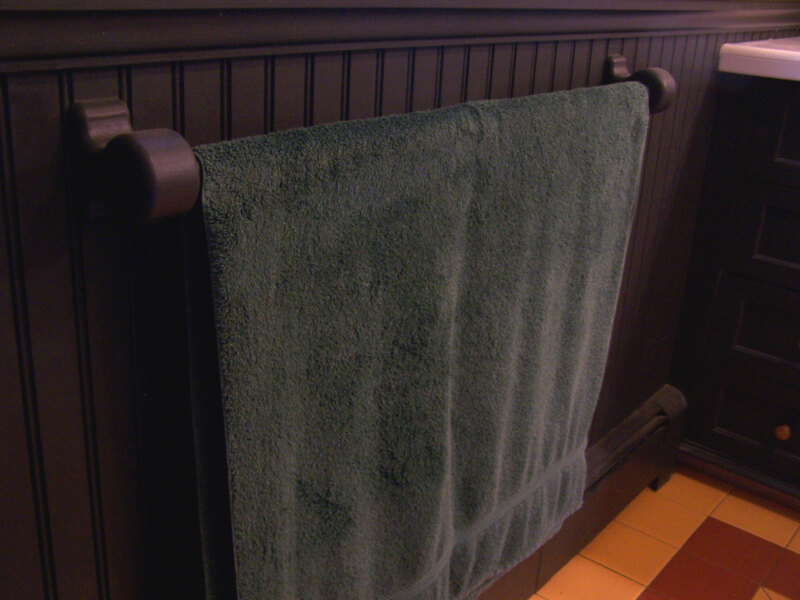 I fabricated a towel rack and tissue holder for a strictly functional, turn-of-the-century look. 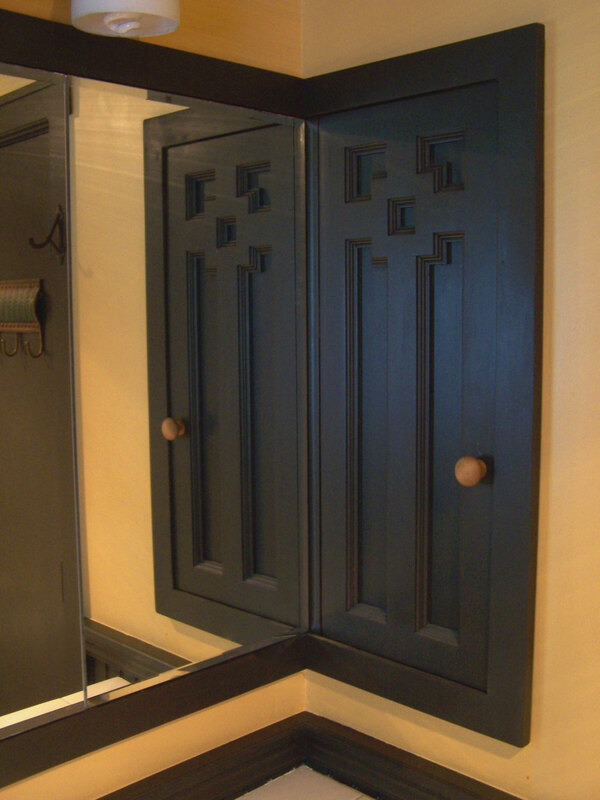 We purchased a medicine cabinet with mirrored doors. I sunk it into the wall and wrapped it with casing to make it appear like a framed mirror. I used the space inside an adjacent wall to give us more storage and made a special little door for it. With the linen closet removed, I now had a long wall to build a serious vanity along. Drawers are so much more useful in a bathroom than door cabinets so I built it with fourteen drawers and a single door for the sink cab. 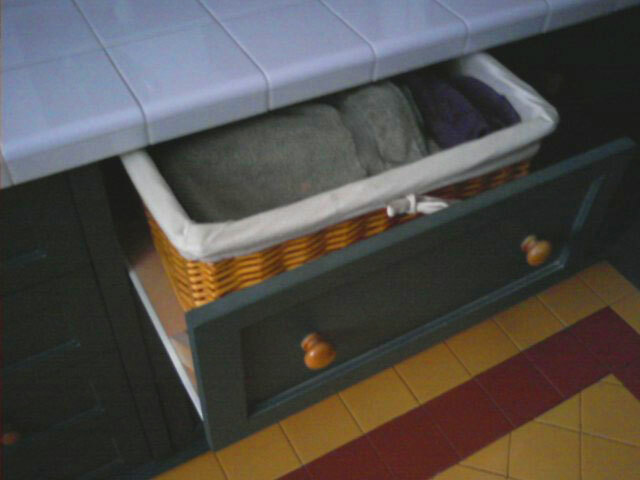 The larger drawers I built as pull out shelves so we could place cloth lined baskets within. 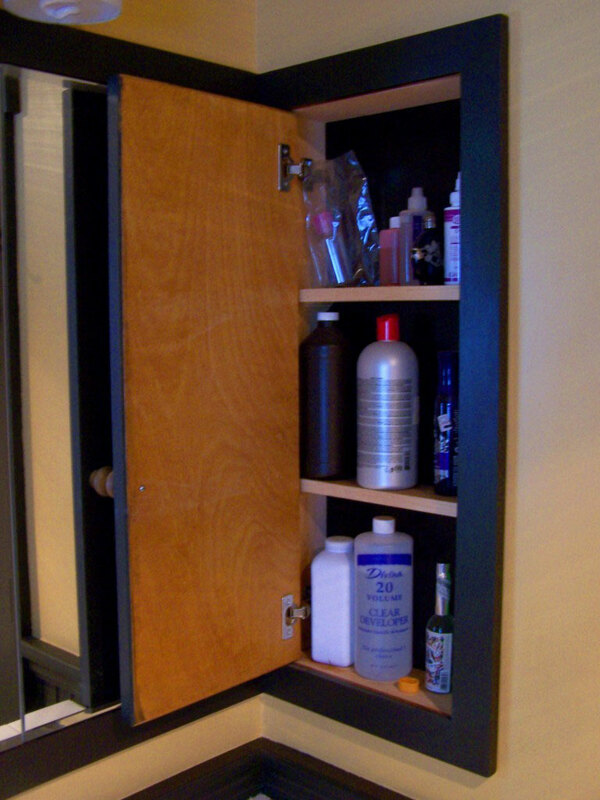 Any cabinet that holds a sink invariably has a door with a single, false drawer front above it (to hide the side of the sink). 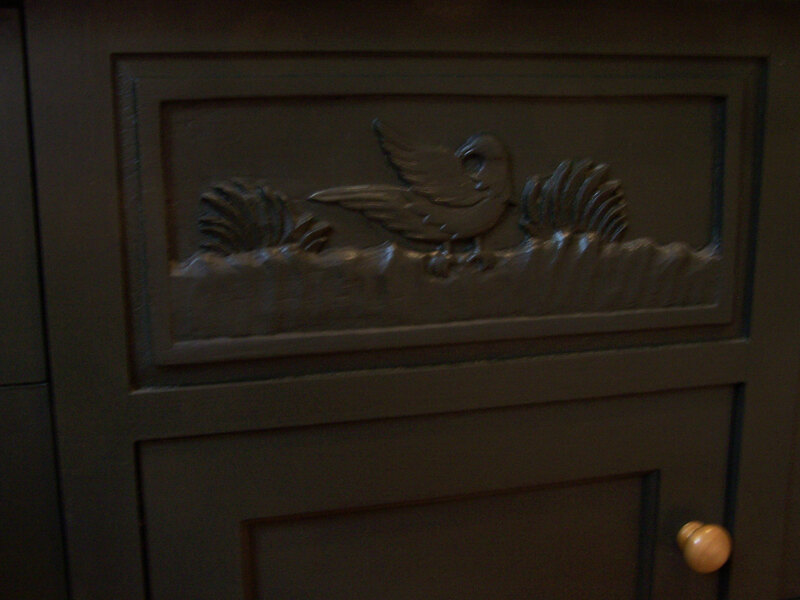 A while back I had saved one of the hand carved panels from a folding room divider (which I disassembled to use in a kitchen). I finally found the perfect place for this little beauty. 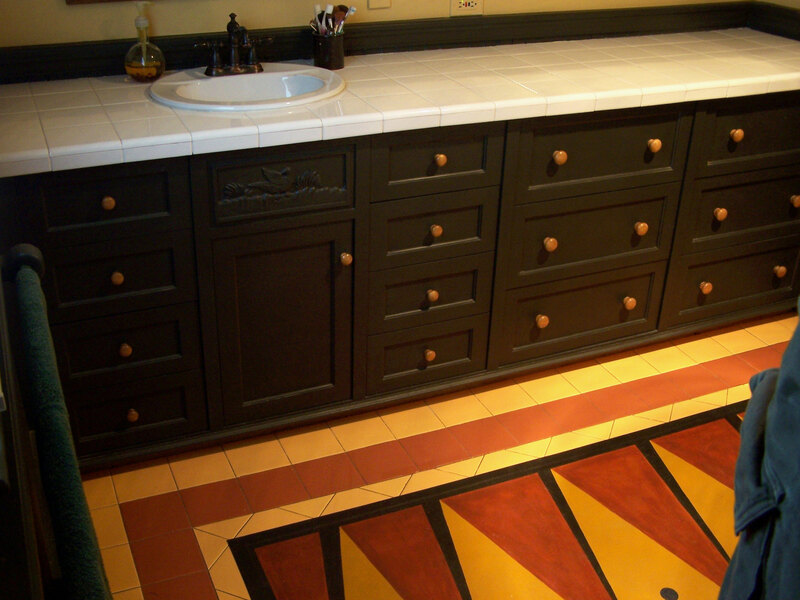 After we did the floor tiles, we placed one of my wife’s floor cloths (painted canvas) to make it easier on bare feet during winter mornings. 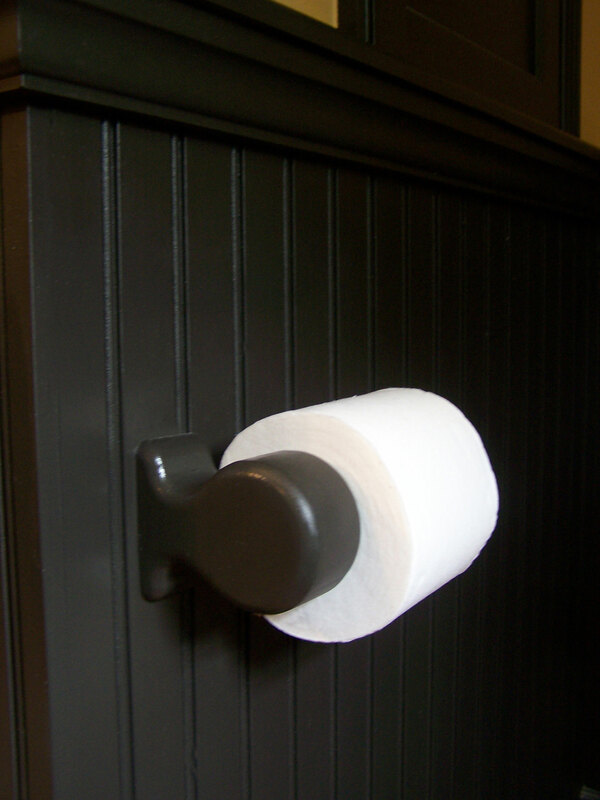 The used a light mustard color paint for the walls and a dark green for the wainscot. It’s a handsome little room now with lots of storage for all the things you’d ever need in the bathroom.